Items shows drawing in printed format that record plans for downtown area. Report on file in City Clerk's Library Collection (A179 File 3). 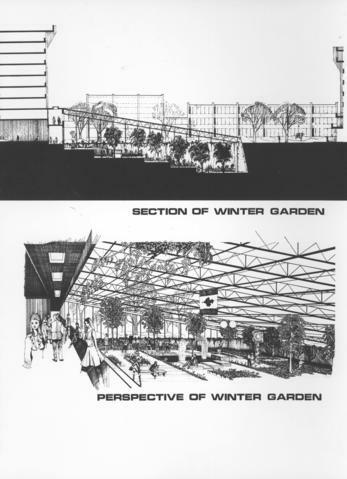 Metropolitan Corporation of Greater Winnipeg-Planning Division, Downtown Winnipeg [Report], April 1, 1969, Plate 24.